Secret codename, talk about many consumed polish beers here. Well this is long overdue but here goes nothing. Specjal stands at 6% as is the newest i have found in my area, at the moment I would say it tastes better than a Debowie (another polish beer which I’ll talk about on another post, dont you worry), it is a little clingy in aftertaste and not that light in taste, though theres no real stand off reason to go after this. And now onto my current favourite of them all, yes i am starting this trend of posts at the end… meh. 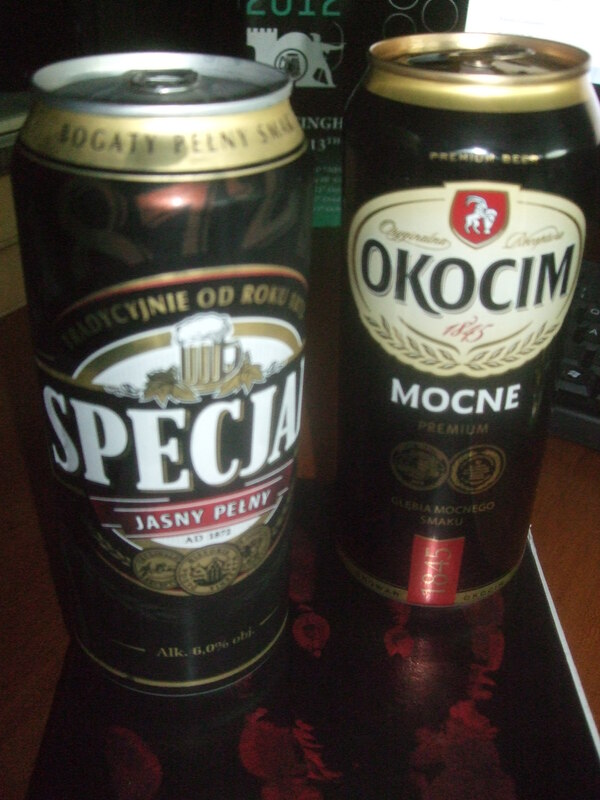 Anyways, Okocim has become my drink of choice when at home, its just taken over Tatra which i really enjoy as well. Its stands at 7%, Mocne means strong for a reason.